Discussion in 'Confinement Lady and Nanny' started by thomas leow, Nov 18, 2018. 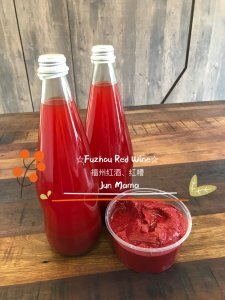 My wife is from Malaysia Sitiawan, home of famous tradition red glutinous rice wine. We have been fermenting this for the past 2 years learnt from her old mother. We do fresh only. Our next batch ready by 23 Nov 2018. We welcome you to try our homemade favorite dishes! What can this wine be used for? And how different is this from the normal rice wine used in confinement?